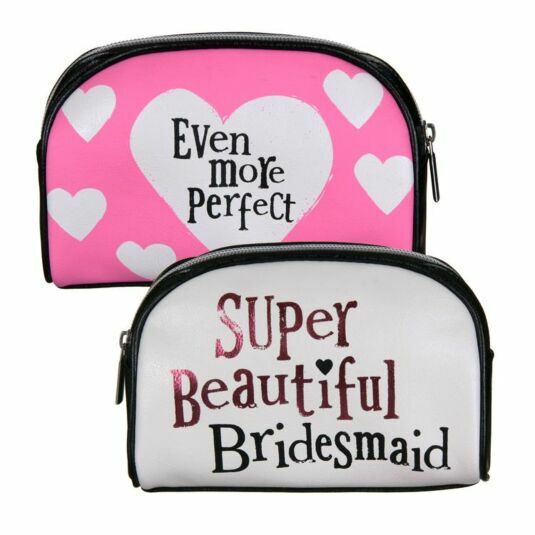 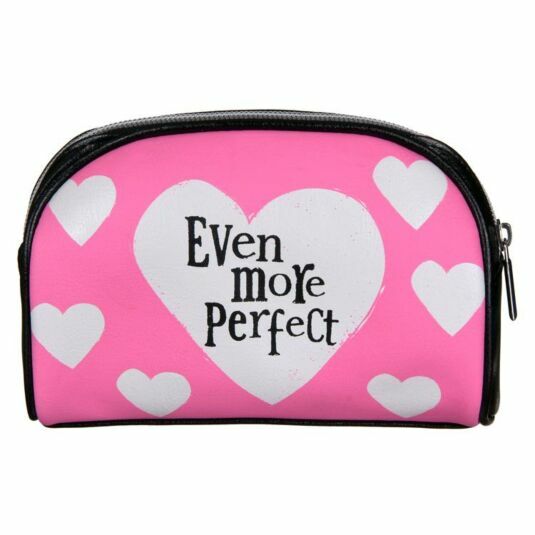 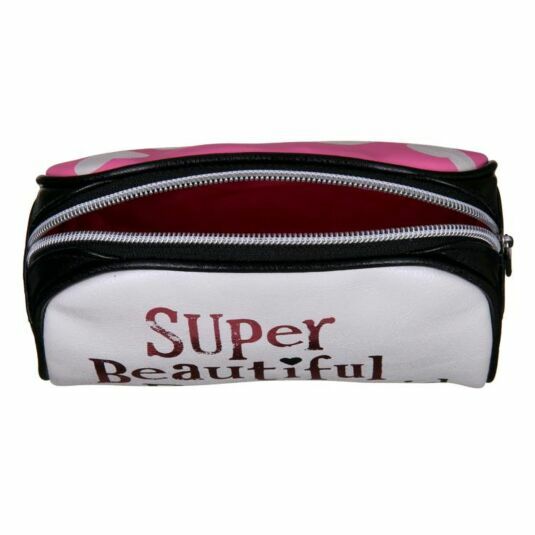 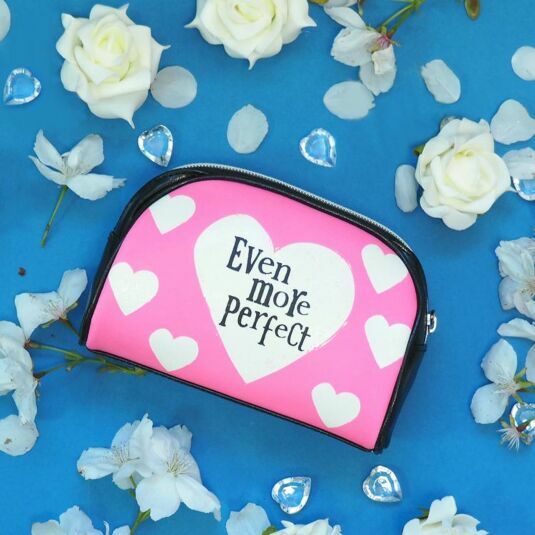 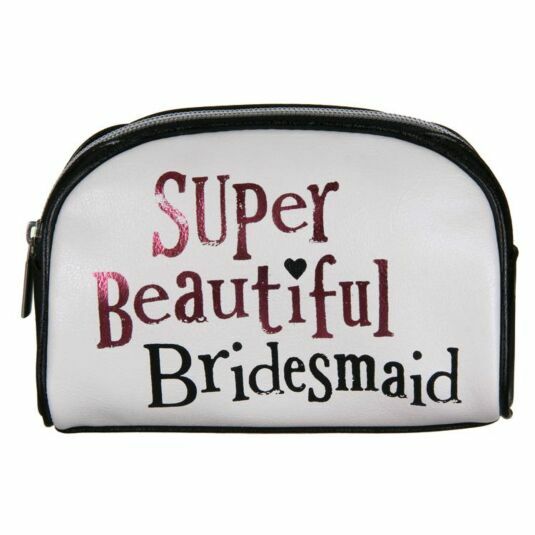 This handy cosmetic case is the perfect thank-you gift to give your bridesmaids on the big day. 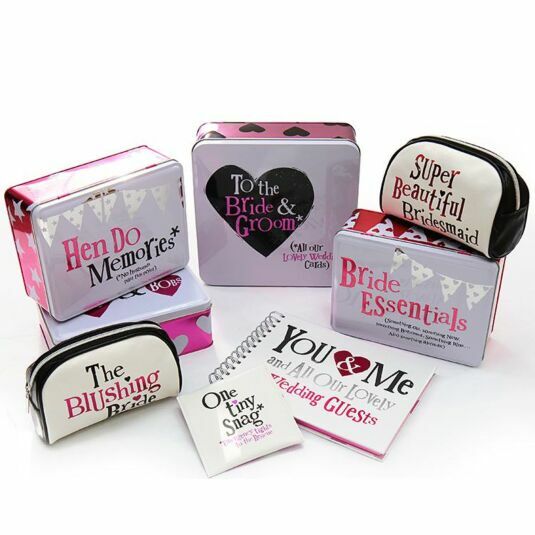 They will have a keepsake of the momentous occasion plus somewhere to keep all the makeup bits and bobs that enhance their natural beauty! 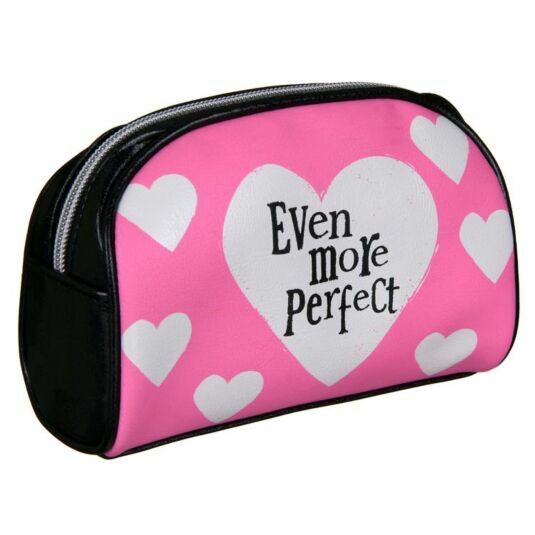 The case closes with a zipper to keep those precious cosmetics safe and is lined with hot pink water resistant fabric. 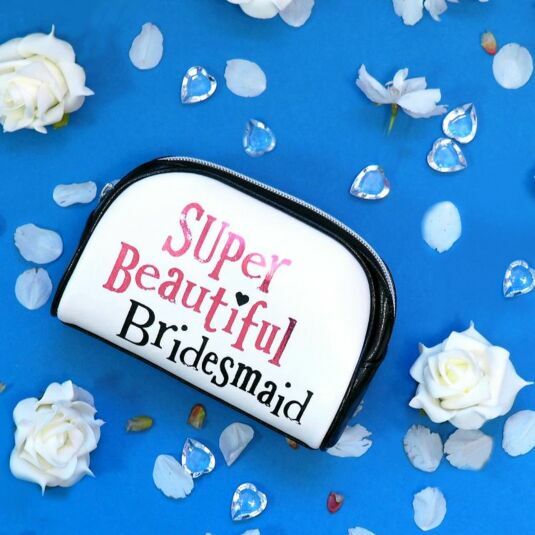 A lovely way to say thank you, give this case to your bridesmaids on the morning of your wedding, with time to shed a few tears of joy before applying the make-up!